Psychology is the study of mental processes and the relationship between these processes and behavior.The undergraduate program provides a broad-based natural and social science approach to the science of psychology. The curriculum stresses methodological skills so that students learn the fundamentals of how to ask and answer questions about the mind, neurology, and behavior; these skills are also applicable to many non-psychology careers. The student-to-faculty ratio in the school fosters close interaction between faculty and students and provides a personal and friendly learning environment. Undergraduates are encouraged to participate in faculty-directed research. The Psychology Club and the Psi Chi Psychology Honor Society also enhance the environment for undergraduate study. The curriculum includes general psychology, research methods, statistics, cognitive psychology, social psychology, biopsychology, experimental analysis of behavior, sensation and perception, and a capstone experience. 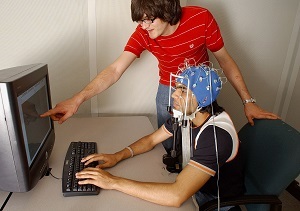 Each student selects four additional courses from a list of psychology electives, which may be directed toward one of the five research areas in the school: engineering psychology, cognition and brain science, cognitive aging, industrial/organizational psychology, and quantitative psychology. Psychology majors go on to various positions in industry, or continue with graduate study in psychology or a related discipline. For more information, please see www.psychology.gatech.edu, or contact Director of Undergraduate Studies, Professor Audrey Duarte (audrey.duarte@psych.gatech.edu).